In 2015 we had the pleasure of working on this stunning Highton property which sits on 1 acre and underwent a complete landscape transformation. 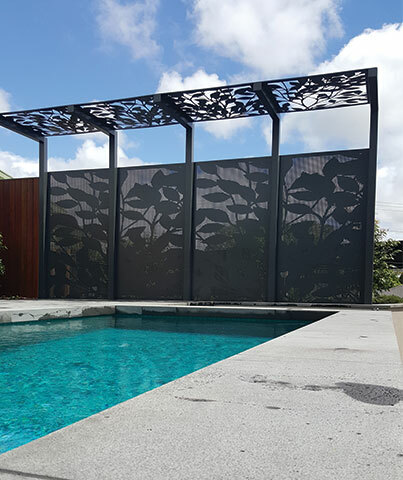 We designed a custom set of screens, which met pool regulations, with a cantilevered section extending into the pool area with decorative laser cut panels. This structure compliments the amazing pool and landscape perfectly while also hiding the garage which sits behind. 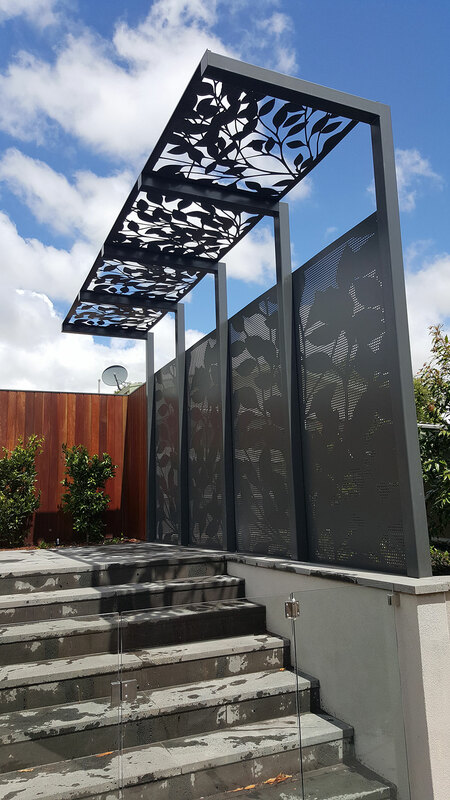 The design features branches running through the panels made up of perforated holes not exceeding 10mm in size in order to meet the pool regulations. 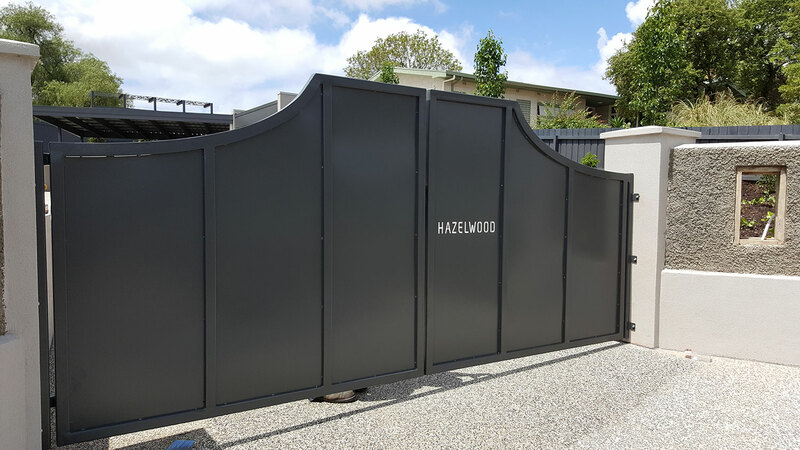 PO Box Designs were also engaged to design and custom fabricate a set of double opening gates with remote automation which set the scene for the rest of the property as soon as you enter through the gates. Items completed: Entrance gates with automation and feature pool regulation decorative screens and pergola structure.